Elsa Rothschild was born in Bensheim, Germany and trained at the Karlsruhe Academy. In 1918 she married and moved to Hanover, where she remained until 1933, travelling annually to Paris. She specialised in portrait sculpture, and although uncommissioned, her works were exhibited in Hanover, Berlin, Brunswick and Mannheim. 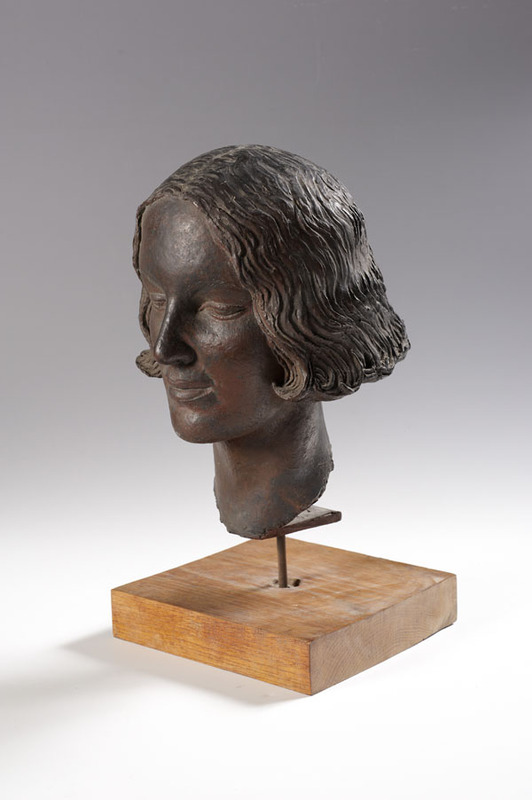 Following her divorce in 1933, she returned to Paris, before immigrating to London, bringing many of her sculptures with her and later establishing a studio in St. John’s Wood. During the war, her son worked in a factory that produced the Mosquito Fighter Bomber and she suffered difficulties after her identity was stolen by a German spy. Postwar, she exhibited in Ben Uri’s 1951 Festival of Britain Anglo-Jewish Exhibition, later moving to Bangalore, India, to be with her daughter and family. The sitter has been identified as Shirley Solomon, daughter of Ethel Solomon (Mrs. Robert B Solomon), who held a number of prominent posts at Ben Uri including Vice President (1937), Chair (1948-56), member of the Art Committee (1931-56), Chair of the Art Committee (1936-56) and member of the Exhibition Committee (1956). It is not clear whether the portrait was commissioned but it is included in a photograph of the artist's St John's Wood studio, taken c. 1938.